Posttraumatic stress disorder (PTSD) and problem gambling can go hand in hand. In fact, people with PTSD can be at risk of developing a wide range of unhealthy behaviors, such as deliberate self-harm, eating disorder behavior, or substance abuse. It is believed that most of these behaviors develop as a way of coping with the intense thoughts and feelings that often accompany PTSD. A need to gamble with more and more money in order obtain a certain level of excitement. Repeated efforts to stop or reduce gambling that are unsuccessful. Feeling restless and irritable when trying to stop gambling. Gambling in order to reduce distress or escape and forget about problems. Continuing to gamble even when money is lost. Lying to family members or other significant people so they don't know about your gambling. Engaging in illegal acts to get money to gamble. Lost a job, relationship, career, or similar opportunity because of gambling. Relying on others to help out with finances that have been negatively impacted by gambling. To be diagnosed with a gambling problem, a person must have five of the above symptoms. Studies have found that anywhere between 0.4 to 3.4 percent of the general population will have a problem with gambling at some point in their lives. But it appears as though certain groups of people may be more likely to develop a gambling problem, such as college students, people with a substance use problem, and people with PTSD. Studies of people with gambling problems have found that anywhere between 12 to nearly 33 percent also have PTSD. In addition, people with gambling problems who also have PTSD are more likely to experience problems such as anxiety, depression, substance use, impulsivity, and they may even attempt suicide. It is generally thought that people with PTSD may be more likely to gamble to try to escape from their problems or their symptoms of PTSD. 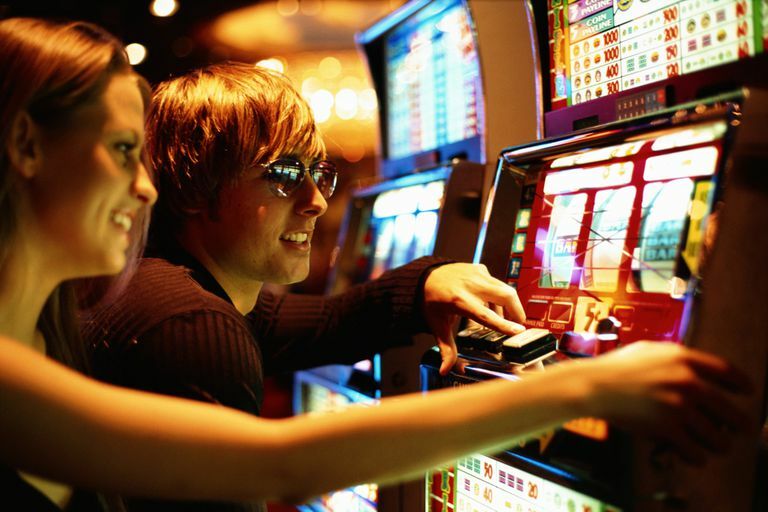 Gambling may bring about some temporary relief or escape, and when a person is winning, it can also bring on a "high" that's similar to the reported high experienced by people who use substances. This high may be particularly desirable for someone with PTSD who is experiencing frequent and intense anxiety and other negative emotions; however, this relief is short-lived, and a person may quickly desire to gamble some more. More gambling tends to result in more financial loss, as well as the potential for greater despair. Treatments for PTSD, as well as for gambling, are available; however, some people with PTSD and gambling problems may be less likely to pursue these treatments due to shame or denial. If you have PTSD and a problem with gambling, it's very important to get help. You can learn more about getting help for gambling from Gamblers Anonymous. Given the connection between PTSD and gambling, receiving treatment for PTSD may also help with your gambling problem (in addition to reducing your symptoms of PTSD). If you're looking for a PTSD treatment provider, there are a number of helpful websites that can help you find the right person. In seeking out a treatment provider, remember to be a consumer: shop around until you find someone that you feel can best address your needs. American Psychiatric Association (2000). Diagnostic and statistical manual of mental disorders, 4th edition, text revision. Washington, DC: Author. Biddle, D., Hawthorne, G., Forbes, D., & Coman, G. (2005). Problem gambling in Australian PTSD treatment-seeking veterans. Journal of Traumatic Stress, 18, 759-767. Ledgerwood, D.M., & Petry, N.M. (2006). Posttraumatic stress disorder symptoms in treatment-seeking pathological gamblers. Journal of Traumatic Stress, 19, 411-416. Najavits, L.M. (2011). Treatments for PTSD and pathological gambling: What do patients want? Journal of Gambling Studies, 27, 229-241. Najavits, L.M., Meyer, T., Johnson, K.M., & Korn, D. (2011). Pathological gambling and posttraumatic stress disorder: A study of the comorbidity versus each alone. Journal of Gambling Studies, 27, 663-683. Pulford, J., Bellringer, M., Abbott, M., Clarke, D., Hodgins, D., & Williams, J. (2008). Barriers to help-seeking for a gambling problem: The experiences of gamblers who have sought specialist assistance and the perceptions of those who have not. Journal of Gambling Studies, 25, 33-48. Taber, J.I., McCormick, R.A., & Ramirez, L.F. (1987). The prevalence and impact of major life stressors among pathological gamblers. International Journal of the Addictions, 22, 71-79.